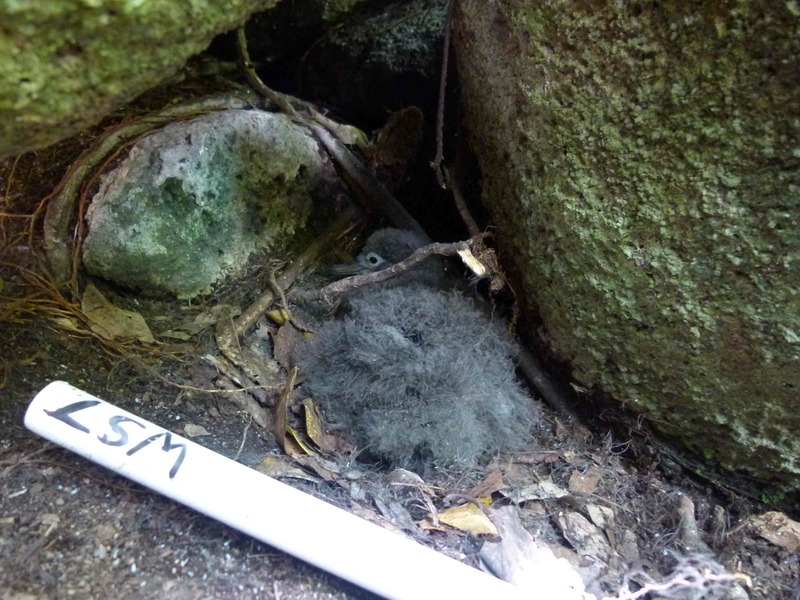 The Island Conservation Society has initiated a project on Aride, which started in October 2011, with the aim of acquiring precise knowledge of the ecology of the Wedge-tailed shearwater Puffinus pacificus and the Tropical shearwater Puffinus lherminieri (subspecies nicolae described from Aride). This will provide information that is indispensable to ensure a good scientific monitoring of their populations, and will allow for more efficient conservation measures, either on Aride, around the Seychelles archipelago or elsewhere at sea in the Indian Ocean. This project is funded by Fondation TOTAL, Centre National de la Recherche Scientifique (CNRS, France) and Island Conservation Society (UK & Seychelles). It is lead on Aride by Research Officer Licia Calabrese, who recently started a PhD at Paris-La Sorbonne University, and supervised by ICS biologist Dr Gerard Rocamora, who initiated the project, and Dr Vincent Bretagnolle, Director of the Centre d’Etudes Biologiques de Chizé (CNRS, France). The main challenges during the first year of the project were, first of all, to improve the population census method, in particular to investigate new methods (both statistical and in the field) and compare them with the methodologies implemented since 1996 to improve the reliability, accuracy and precision of the estimates of number of breeding pairs. Afterwards, in order to investigate the breeding success of the colony, a number of nests were selected per species and checked every week. Moreover, a wide range of biotelemetry devices were identified and the best solutions for the foraging ecology study were selected and purchased. 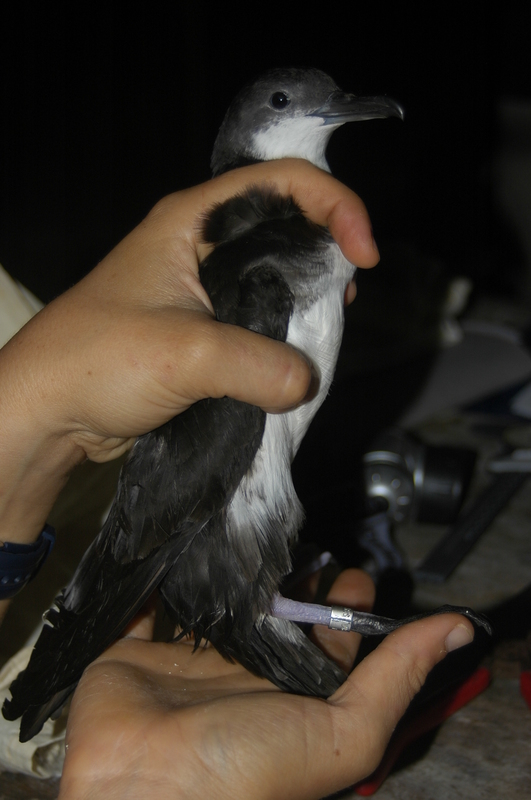 Some devices have been already placed on the birds and the first data collected. 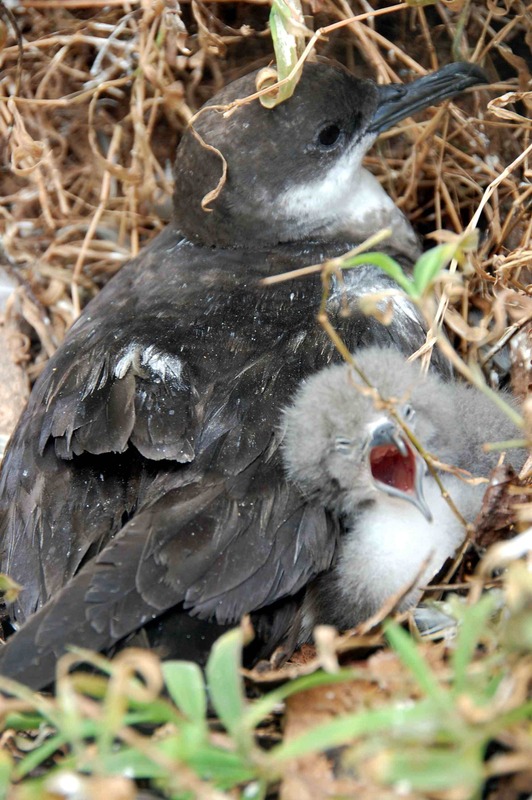 First results from GPS devices deployed on Wedge-tailed Shearwaters in collaboration with Italian researcher Jacopo Cecere showed that the birds were travelling a distance up to 180 km from Aride (one way) almost every day to get food during the chick-rearing period, and a first scientific paper has been submitted to a scientific journal. This project has been also given some publicity through several TV reportages on Aride by the University of Réunion media department, the Seychelles Broadcasting Corporation, and by a French media group working for Gedeon Programmes (www.gedeonprogrammes.com) and Nausicaa (www.nausicaa.fr). The latter is putting together a series of documentaries named ‘Illes Sentinelles’, to show how some islands are tackling environmental, economical and social challenges across Vanuatu, Seychelles and South Caribbean especially in the face of climate change. Contributed by Licia Calabrese and Gerard Rocamora (Island Conservation Society). Previous SSG news: An investigation into possible infanticide by Tropicbird 42 on Cousin Island, March 4th 2013. Next Pisonia grandis…A grand problem?